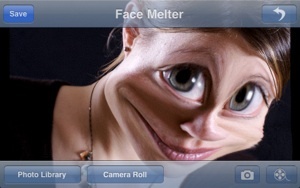 Face Melter is the ultimate application to generate funny facial expressions out of your pictures from your family and friends. Magnify eyes with the touch of you hand. Wipe away sad lips and lighten them up with a bright smile in a second. Pictures can be imported for editing out of the image library, the camera roll or even directly from the camera. Afterwards, images can be saved to be used as contact images or just to bring forward a good laugh during your next family celebration. It's a great fun for every owner of an iPhone or iPod touch. 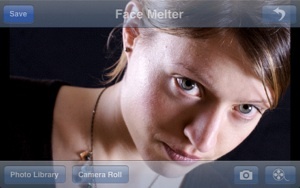 Facemelter is distributed via apples appstore. For a limited timeframe, the special bargain introduction price is set to 1.99$. 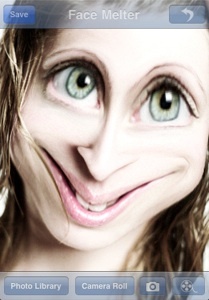 You can also send your melted images to that address. The best ones will be publishes here on a weekly base.